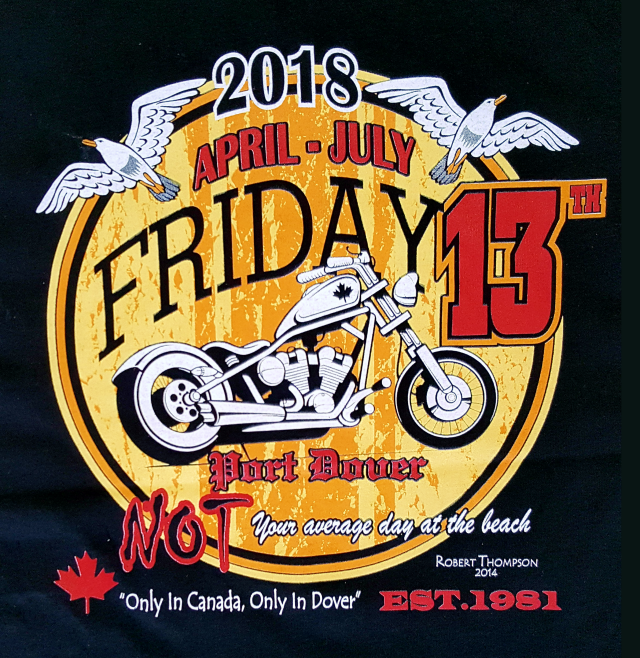 Police estimated that 200,000 people visited Port Dover (population 5,000) on Friday-the-13th, 2018. The previous attendance record was surpassed by 80,000. Every major street contained parked motorcycles and the huge crowd spilled over to the side-streets, vacant areas and residential front lawns. It was almost "wall-to-wall" people with motorcycles everywhere and a strong police presence. Up above, there was a no-fly zone where police helicopters circled almost continuously. 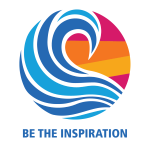 Simcoe Rotary was there on Friday and Saturday at Lions Silver Lake Park selling pancakes, grilled cheese sandwiches and beverages. Here are a few photographs of the event. 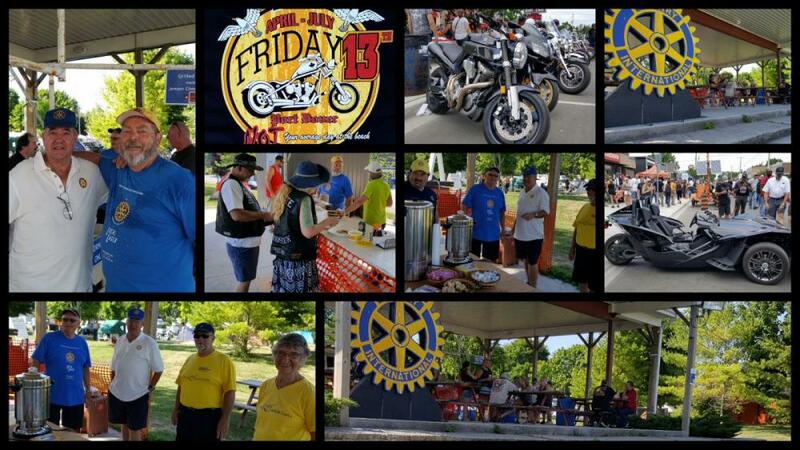 Most of the Rotarians arrived in Port Dover by 4-wheel vehicles except for one who bicycled from Simcoe. The club has members who own and ride motorcycles but there are also avid bikers such as our Tim FitzGerald. 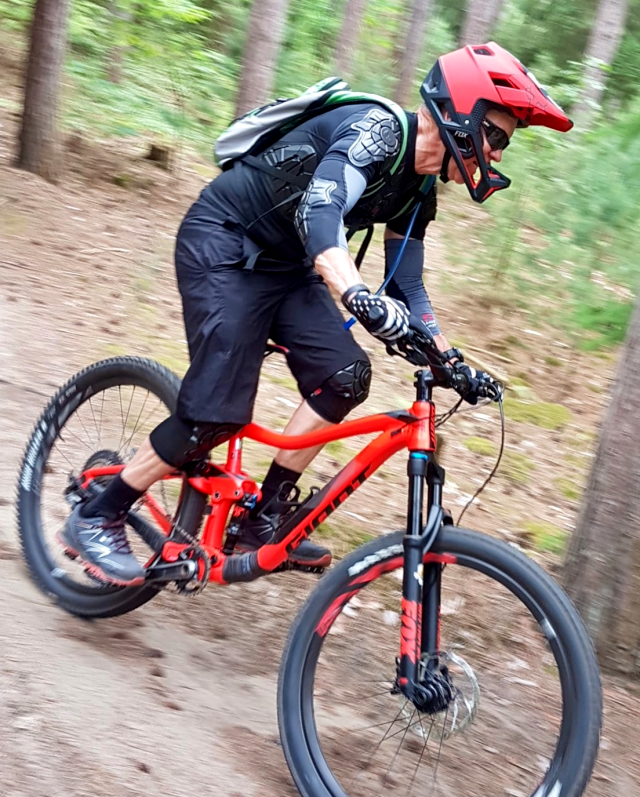 Here he is charging downhill at what appears to be a reckless speed somewhere on Colorado, USA.